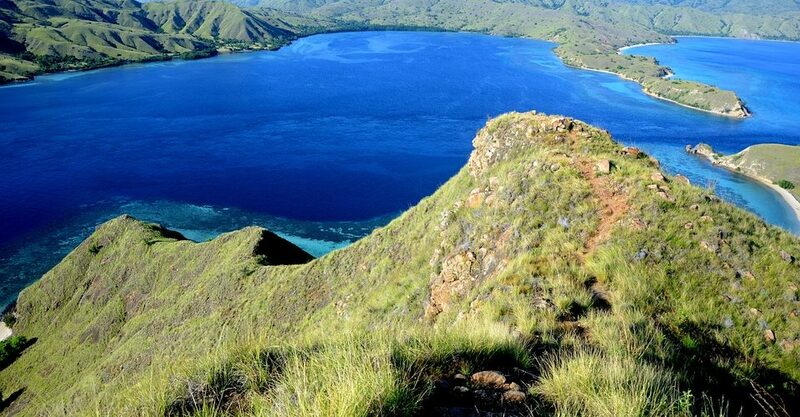 Are you planning to go to Komodo Island this summer? The world’s most popular lizard is rising in popularity nowadays, and with it New 7 Wonder of the World and UNESCO Heritage status, it successfully appeals many travelers to see the last living dragon in the wild. Added with the dramatic landscape, sweeping beaches, lush bed of grass, and remote location, the Komodo National Park is a perfect gateway destination for any wanderers. Before you go, however, we got a few tips to ensure your holiday run as smooth as possible. It’s a small island in Indonesian frontier. In the tip of East Nusa Tenggara, separated by the Flores Sea. The closest airport, Komodo International Airport, is located in Labuan Bajo, Flores. Getting to Komodo Island requires you to take Liveaboard and sail for approximately for 2.5 hours before reaching the island. While you can book your own ranger on the spot, it’s best to spent some time researching online Komodo tour to compare prices and facilities. I personally recommend Hello Flores—I have met the owner and their boats are just impressive. Yup. As much as you wish, you cannot spend the night in the island. The boat will be your hotel and means of transportation for the next three days (or a week, if you wish). See? This is the importance of booking a good liveaboard that provides you with comfy cabins and lounge. Unless you want to go frugal and sleep in an open boat, you can go ahead. The closest hotels are mainly in Labuan Bajo, but you can find secluded bungalows in nearby island, such as Sebayur or Angel Island. Speaking about lack of accommodation, never expect to find an ATM machine in Komodo Island, as well as debit machine. You need to make any purchase with cash. Withdraw your money in Labuan Bajo and make sure you bring enough Rupiah to pay the rangers and buy food, drinks, or souvenirs on the island. 4. Lot’s of Awesome Island to Visit, Plan Your Route! The Komodo dragon island is full of blood thirsty giant lizard, and this should be a great caution for the ladies. They can smell slightest hint of blood form 12 miles, and it can trigger their aggression—even though they just swallow a meal the morning before. Some tourists happened to be followed by a dragon because one of the woman in the group didn’t admit that she was having her period. If the period unexpectedly comes during your travel, it’s best to talk to the ranger, as embarrassing as it sounds. They will advise you what to do depend on the situation. Komodo Island and all the surrounding islets is full with natural beauty. From the majestic dragons, to the jaw dropping landscape, dreamy beaches, and the otherworldly Pink beach, every corner of the National Park is worth a picture. With so many photographic spots around, you will need extra digital storage handy.. Make sure you have empty the camera and storage before embarking on the awesome journey!